TSM is like the South Bank centre in London, complete with similar architectural nuance. Alberto and I have a mutual friend in the Berlin based choreographer Constanza Macras who hails from BA so it’s great to report the success of Branches, National Theatre Wales’ recent collaboration with the mighty Macras. 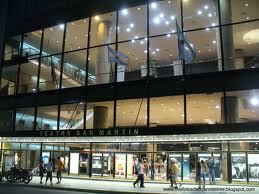 Actually I had performed at TSM exactly 20 years ago with a piece called Los Angeles by Brith Gof. Where Eddie Ladd and I played angels descending through the hole in the ozone layer to forewarn people of impending catastrophe caused by severe climate change. A relatively new premiss at the time and not a very ‘fashionable’ one, but given todays unseasonable Spring weather outside, over 30 degrees and Hurricane Sandy’s recent deluge……we was right! Once on earth us angels were captured, tortured and ignored by the Good Cop Bad Cop guys John Rowley and Richard Morgan. ( I wouldn’t wish that on anyone!). Our message ( spoken in Welsh, as Welsh was the language of Heaven) fell on deaf ears so we escaped and ascended home with a ‘We told you so’ attidude. 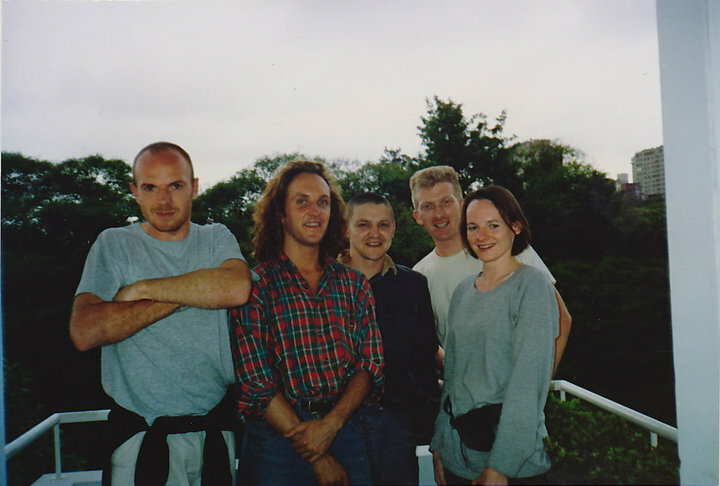 The BG gang in 92! Los Angeles caused quite a stir in the city as it was rather radical compared to their normal programme at TSM, in fact here’s an interesting tale; a theatre company called L’association negra came to the show and ‘borrowed’ largely from it, they then changed their name to Del La Guarda (Guardian Angel) and their next work became a huge world wide hit. Alberto remembered the impact that Los Angeles had and recalled an even earlier Brith Gof show which he programmed for his festival in Cordoba ( I must ask Mike Person which show it was, I think it might have been from The Disasters of War series). 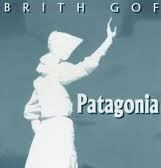 Nice that Brith Gof is emerging as such a strong link as we also made a show called Patagonia, which was part of The Barcleys New Stages Awards in also in 1992, commissioned and performed at The Royal Court, it’s a forgotten masterpiece. Mike has very kindly given me the original texts and also a never realised film script by Cliff McLucas which will certainly inform how to read the amazing landscape during our forthcoming road trip across The Paith, Sian is beside herself with excitement. Alberto was very intrigued by the initial concept for the Patagonia150 project; a simultaneous site resoonsive event in Wales and Patagonia as part of the 2015 commemorations, and very interested in becoming involved as Patagonia remains a strange and enigmatic place for him and others therefore a presence in BA would be alluring. He then arranged for us to be taken on a tour later in the week of other venues linked with TSM to see if they could be suitable for some kind of linked intervention, no doubt that TSM, as Argentinas most renowned Theatre organisation would be terrific partners adding great kudos to the project…..what an encouraging start! 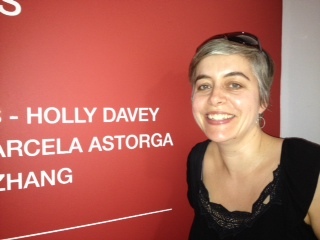 Bizarrely enough we then met up with our close friend Holly Davey for lunch who is in BA for an artist residency. 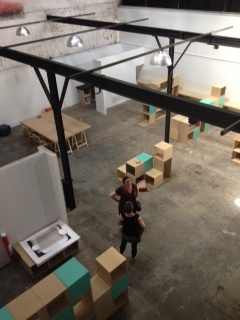 She then took us to her studio which was too stifling to work in due to the unusual heat. So we then made plans to go to the San Telmo market on the weekend and watch the Gay Parade, coincidence I swear!